Just few days ago I came back from one of the biggest trips that I planned for my stay in Japan. 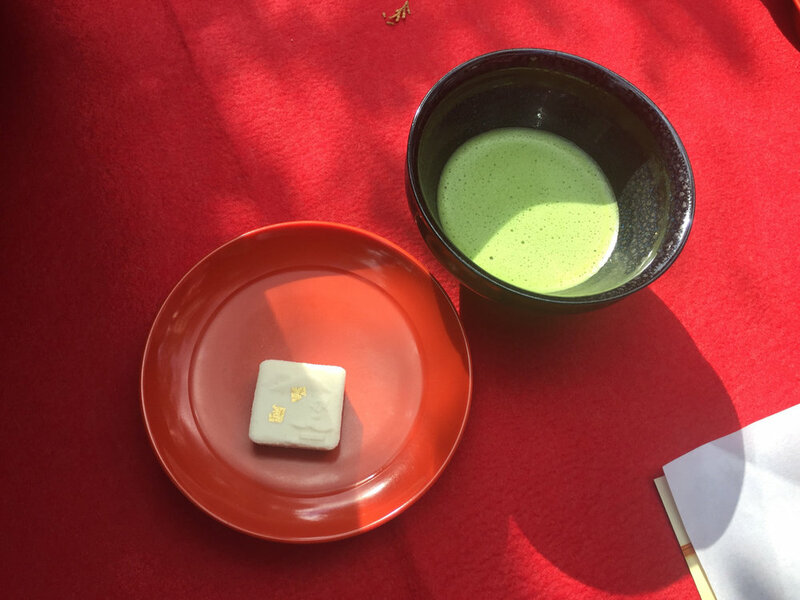 We went to Kyoto – the old Japanese capital and one of my favourite Japanese places. I made an itinerary, reserved a guest house and we were good to go. 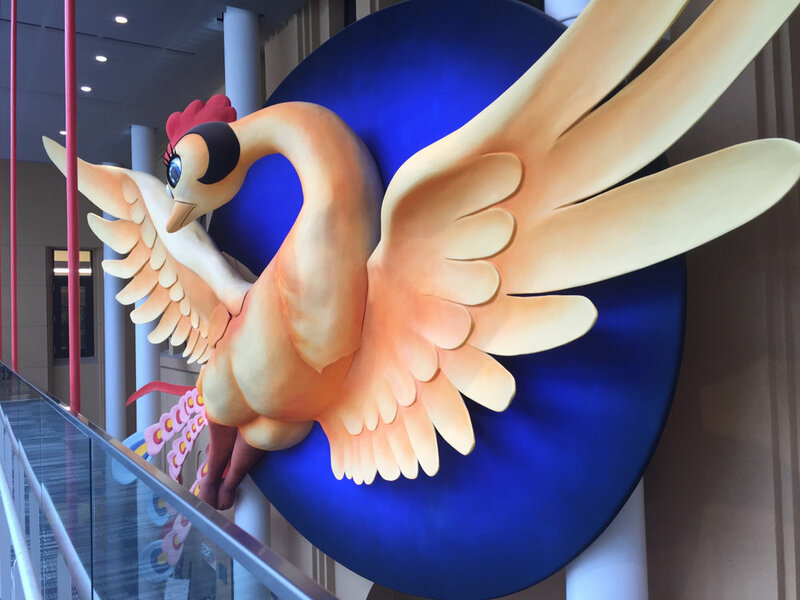 Again, I was surprised by the amount of cute anime and cartoon characters on the walls advertising everything you could possibly imagine, some of the with the traditional taste to it. Our first stop was an International Manga Museum. There we could look at some small exhibitions and explore the history and different genres of Japanese manga. It was interesting to see vast diversity of Manga in one place in museum context. 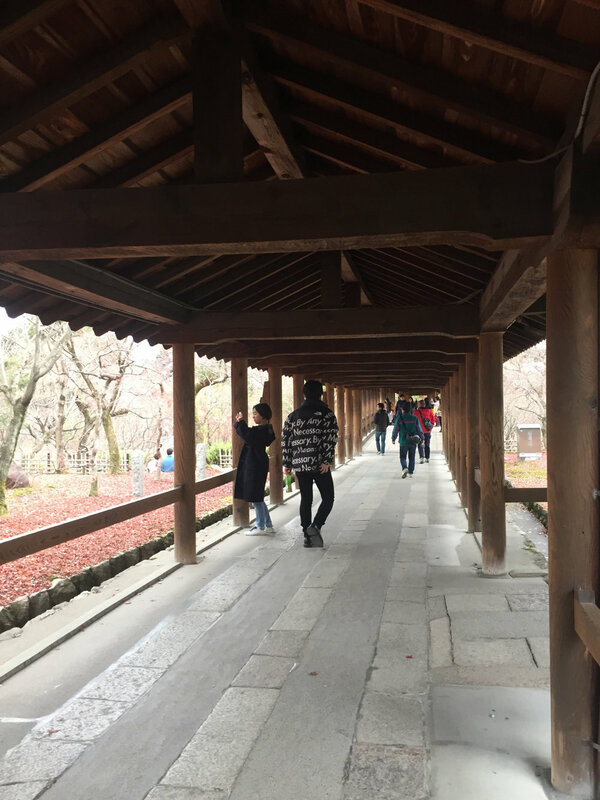 Our next step was Arashiyama – a place that’s famous for its beautiful Bamboo Grove. We planned on seeing it both during the day and during the night illumination but we were defeated by the rain and wind. We basically run through the Tenryu-Ji temple (again, rain) and ended up in an udon place. 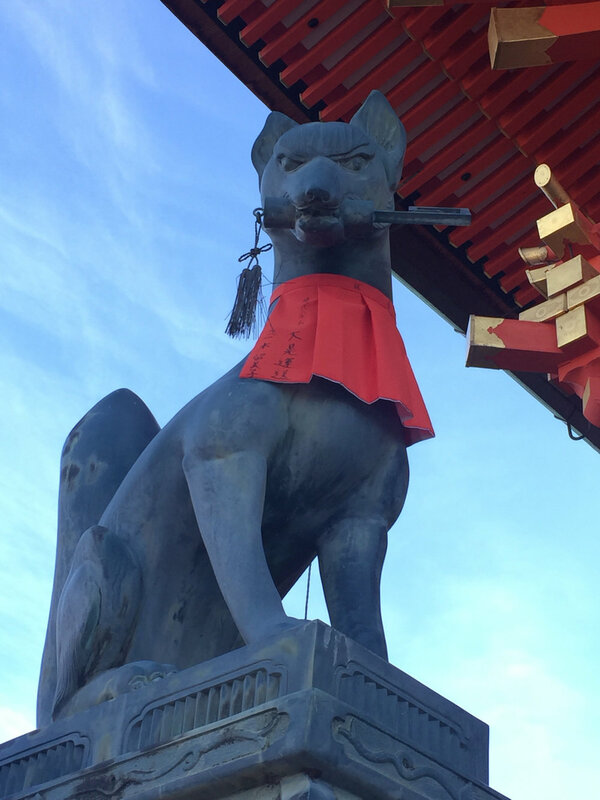 What got me both in Arashiyama and Dazaifu is the mix of traditional and pop culture that’s happening in Japan. The souvenir stores are filled with commonly known mascots in kimonos and with the Torii gates – such as Hello Kitty, Rilakuma or Gudetama. They even have their own individual shops. The always surrounding marketing is definitely a smart move in Japan. 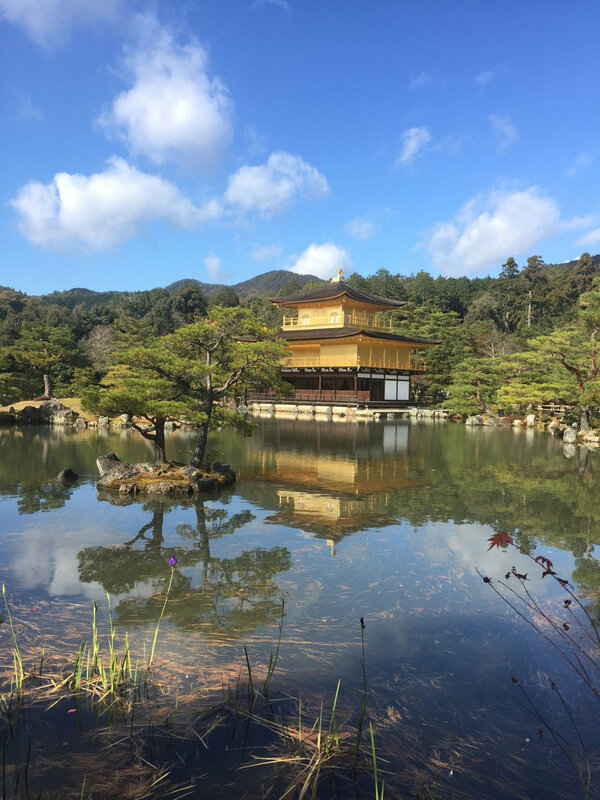 Our second day we started with Kinkakuji – a Golden Pavilion – a beautiful example of Japanese traditional architecture, all covered in gold. Then we headed to see the Nijo castle from outside and ate some Kyoto Ramen. 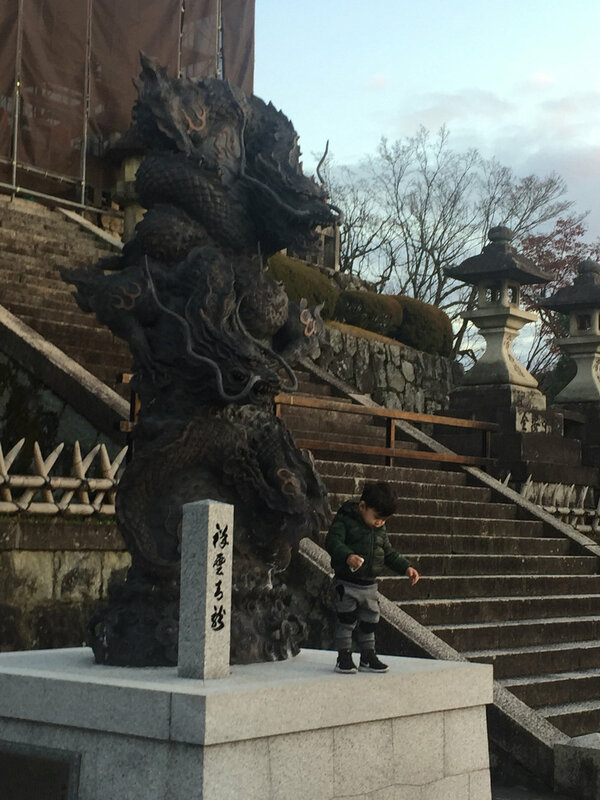 Next one was a very important place of worship – Kiyomizudera. We got there as the sun started setting. After that we went for an illumination in the buddhist Kodai-Ji. That was it for the day. We started our last day with a morning hike up the Inari mountain. 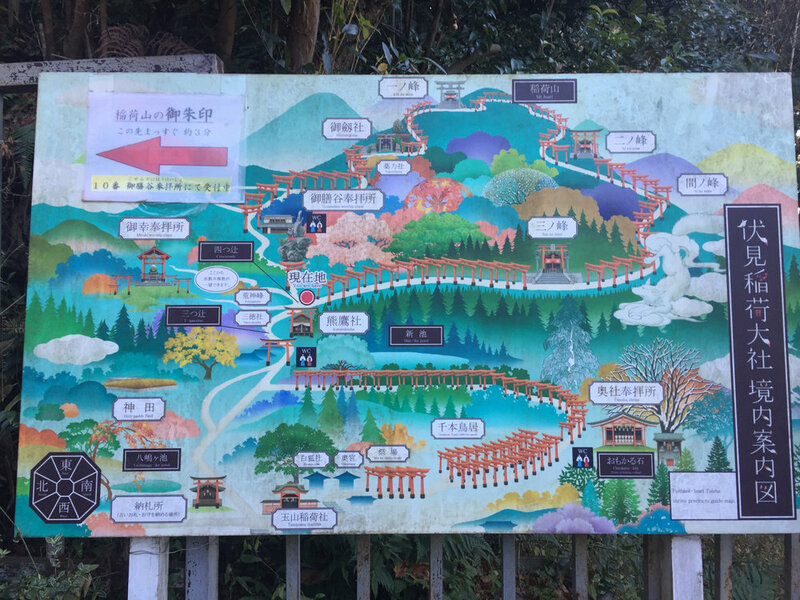 We walked all the way up to the top, passing countless Torii gates and Kitsune statues. 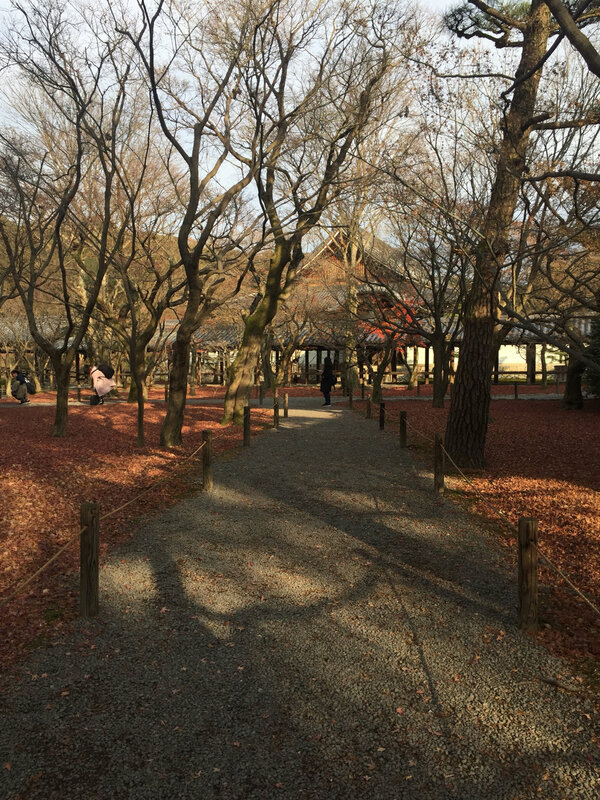 Our last adventure was a visit in a zen garden in Tofukuji. And that was it for Kyoto! 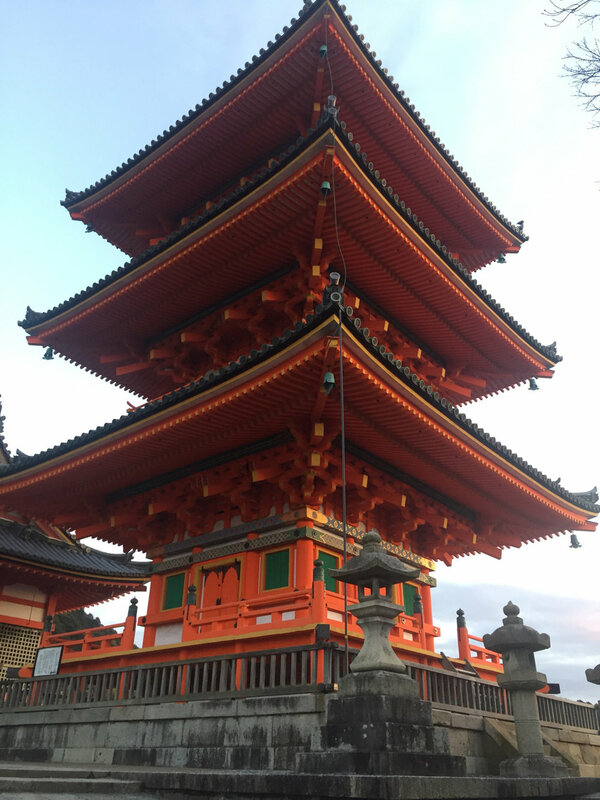 I feel like photos would speak more about how beautiful and plentiful in nature and beautiful architecture Kyoto actually is so, there we go.